After our pigs escaped the electric net fence AGAIN, we were seeking out better ways to fence them in. Andy Gale of Bay Area Recycling for Charities mentioned that they had an abundance of pallets and we could use them to build a perimeter pallet fence. It seemed like a great idea to me, especially considering that most of the fencing I was pricing out was in the range of 1000s of dollars. Pallets are freely available in large quantity, they’re strong enough to put up with a beating, and also tall enough so the pigs can’t get over them. I did some Google searching and came across this clever design on the Permies.com forum. Permies is my go to resource for a wealth of information. 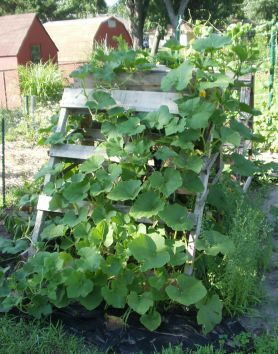 The basic idea is that instead of burying posts in the ground, as most fences do, you make a pallet fence that stands upright by design by attaching pallets together in an “HHHHH” pattern. So I tried it out right away. I was even able to track down some long pallets so that fewer “support” pallets were needed. It has worked great all winter long, and it’s strong enough to walk on or even do parkour on! It may not last as long as a metal fence, but you sure can’t beat the price! I don’t mind patching up the pallet fence every now and then with some of the cast-off slab wood (bark wood) from the local saw mill. Simply place each pallet perpendicular to the previous one, and try to line up some of the thicker frame wood if you can. Screw them together in a few places using the long deck screws. Voila! 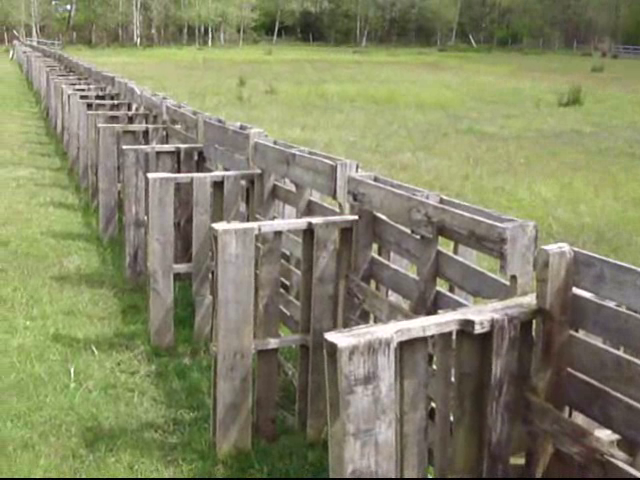 A self-standing fence! How many pallets do you need for 100 ft of fence? Well, it depends! Although there are some pallet standards, you will probably find many different shapes and sizes. Your best bet for consistent sizes is to find one source of pallets in town where you can access them freely, where they have them in large quantity, and all of the same style/size. If you’re using the 40x48 inch pallets it would take about 44 pallets to make a 100ft fence. But if you can acquire some of the longer 8 or 10ft pallets, then you’ll need much fewer. 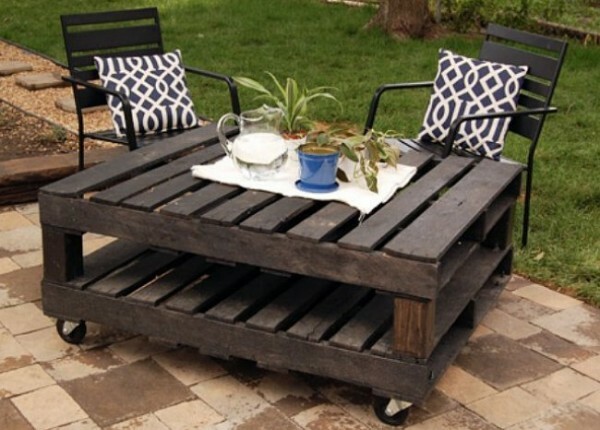 Where do you source your pallets from? 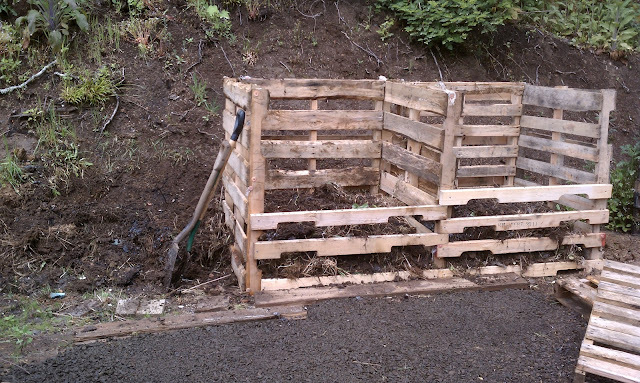 Pallets are usually found in abundance in most towns in the US and most other industrial towns and cities. The best place to look is where there are many large box/chain stores like Home Depot, Lumber companies etc. Sometimes they will leave pallets out at the road for anyone to take freely, or you might have to inquire about them inside. Usually you’ll see a stack of pallets from the road. I found the long pallets at a local sign making company, and a roof shingle dealer. Some companies will want to return their pallets because they get a deposit, but often they’ll have cast offs. And some companies will even let you take freely as many as you want. It’s best to develop a relationship with the guys who work back in the inventory if you’re going to be getting them regularly. I’ve noticed that while most pallets are quite light, and the slats are made of pretty thin wood, every once in a while I’ll find a nice heavy oak pallet that feels like it will last extra long. Keep on the look out for these gems! Are you concerned about treated vs. untreated pallets? The treatment method is indicated on the side of the pallet with the IPPC logo. Pallets treated with Methyl bromide would have “MB” stamped on it, while heat treated pallets are stamped with “HT.” It would also be wise to avoid pallets used by any food industry which might harbor dangerous food-borne pathogens like e-coli or listeria. Build your House with Pallets! It’s actually a nice-looking fence. Great post – I didn’t know about the stamps on pallets, so very helpful. Thank you! Thanks to the internet for that tip! Thanks for the stamp info, I am making a fence for my dogs and only will use the heat treated pallets. 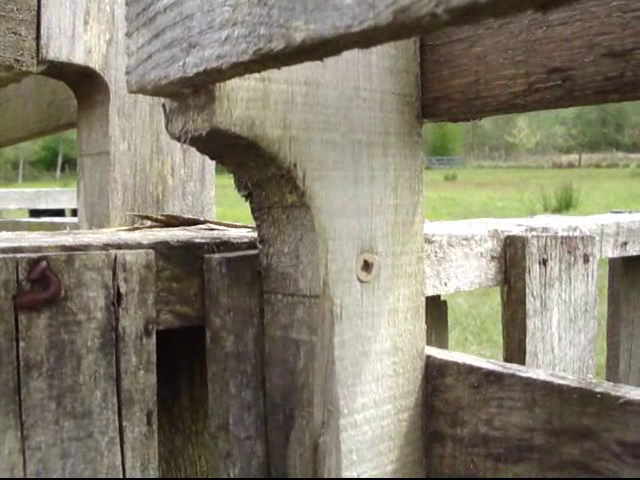 So do you still use the electric fencing in conjunction with the pallet fence? Your list of “cons” says the pigs will eventually destroy it without electric fencing as well… Just trying to find the best fencing option for pastured pigs without spending a fortune! Mike, it would take A LOT! 800/4= 200 pallets, for a single row. Double the height is double the pallets; 400. 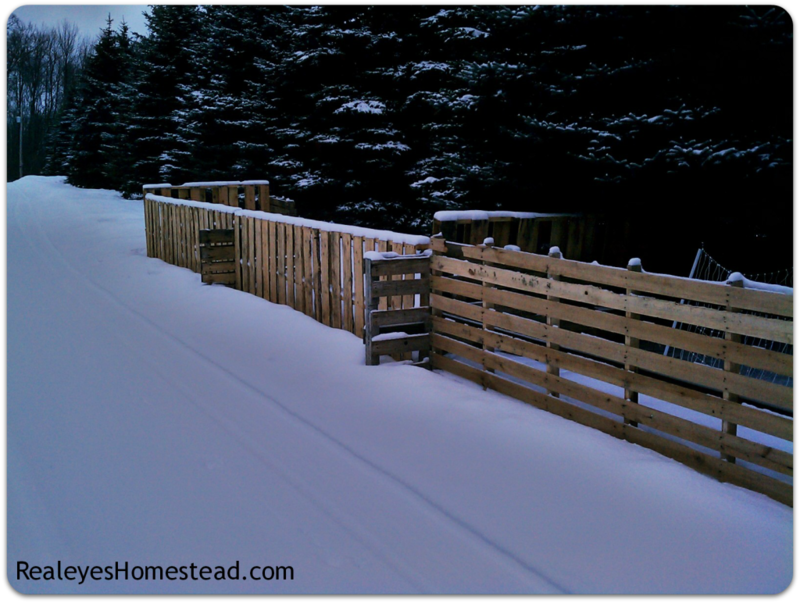 Brenda & Levi, thanks a bunch for your pallet fence idea. After our last windstorm tore our puny fabric privacy fence to shreds, we searched for a better alternative. I really like two things about your “H” design: low/no cost, & strength to withstand wind. One thing I will try, is to raise the “center” pallet 16″ off the ground before fastening it to the “side-way buttress” pallets, using temporary cinder blocks during construction of each “H”. This will gain us 16″ in neighbor-blocking view at top, leaving a 16″ opening at the ground. Since we’re not fencing in any critters, that won’t matter. I found all the free pallets I can eat at a friendly local feed & seed store. Hey Dale! 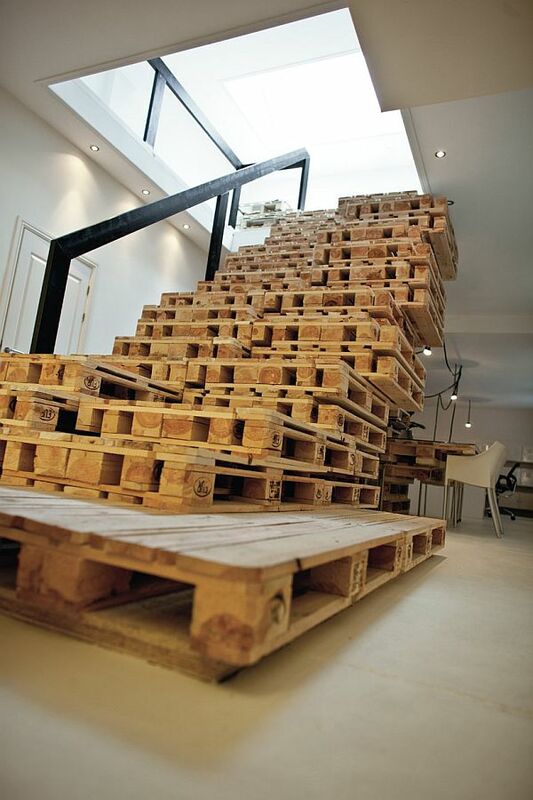 That’s a great idea about raising up the pallets off the ground to get more height! Glad you found this idea useful. I have been using pallet fences this way for about a decade now. LOVE it so much!!! I can build anything with my pallets and my sheep have the most amazing long barn. I think I’ve fenced in a few acres already since moveing to my new farm last year. Great post!! !